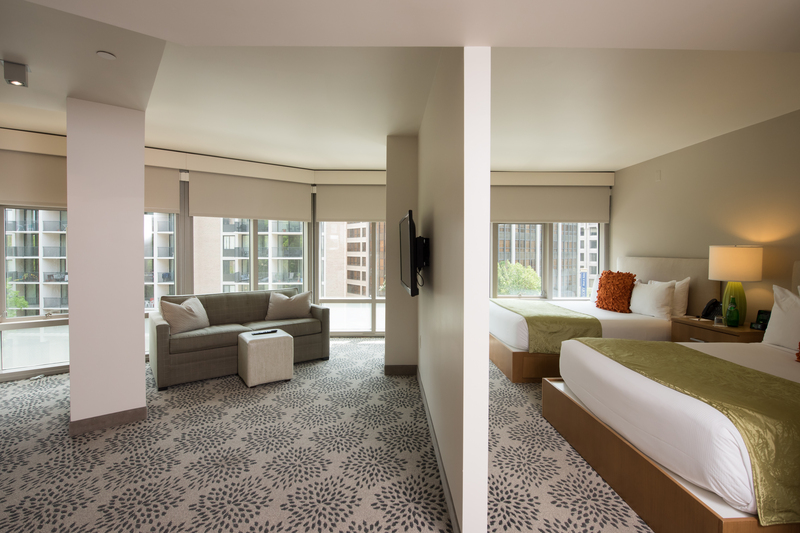 Find your urban refuge in the heart of DC's vibrant Dupont Circle, with suites designed with the conveniences of home in mind. 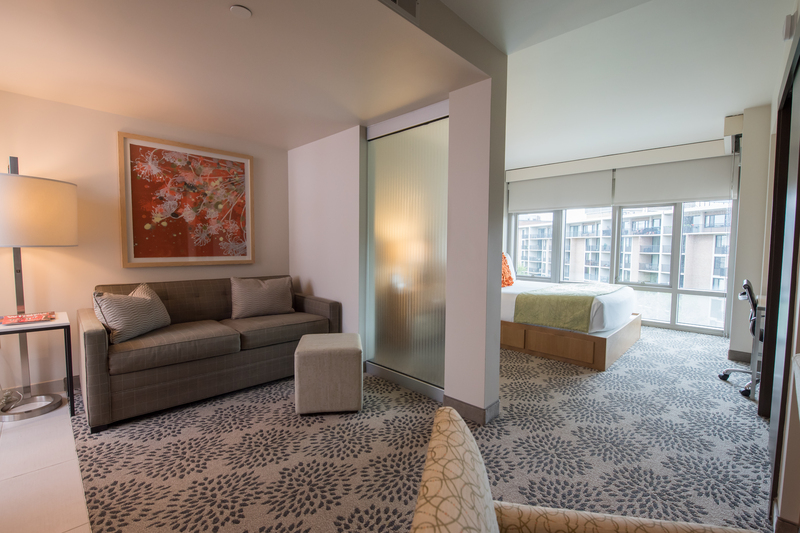 As our honored guest, you will enjoy the comforts that are standard fare with every suite at the Concordia. Our spacious accommodations have been thoughtfully planned with everything you need to prepare meals, work, entertain and relax. Each room offers a fully equipped kitchen, private bath, living/dining area, flat-screen TV, Wi-Fi, and large work desk for staying on task. Wake up to complimentary coffee, check your email, and catch the news before setting out to tackle the day ahead. Rest in total comfort with a fully-equipped kitchen, 450-sq-ft of space, queen bed, 42" flat-screen TV, large work desk, phone, voicemail, iHome clock radio, in-room safe, and eco-friendly bath amenities. 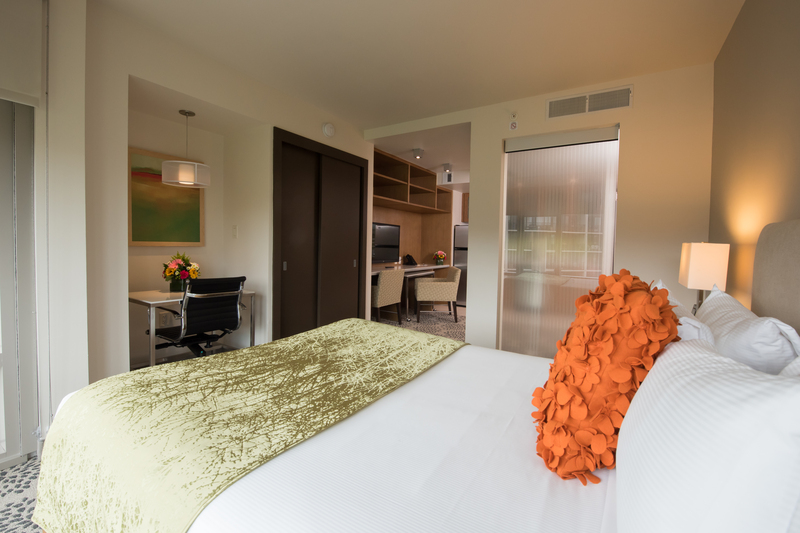 These accessible rooms feature a fully-equipped kitchen, 450-sq-ft of space, queen bed, 42" flat-screen TV, work desk, phone, voicemail, iHome clock radio, safe, and eco-friendly bath amenities. Relax with a fully-equipped kitchen, 475-sq-ft of space, two queen beds, 42" flat-screen TV, large work desk, phone, voicemail, iHome clock radio, in-room safe, and eco-friendly bath amenities. 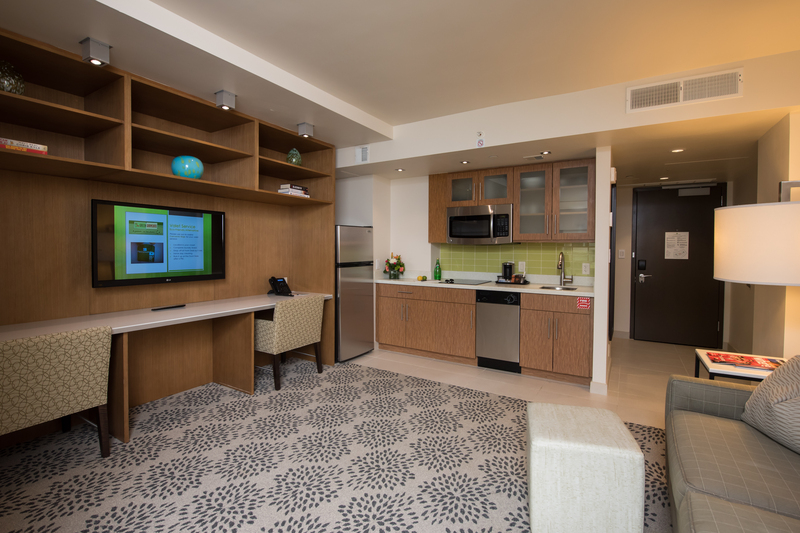 Unwind with a fully-equipped kitchen, 450-sq-ft of space, queen bed, sleeper sofa, 42" flat-screen TV, large work desk, phone, voicemail, iHome clock radio, in-room safe, and eco-friendly bath amenities.